Asus has launched two smartphones today on December 11, 2018 for Indian market. As you may know, these smartphones are already launched in Russia recently, so, the time is for here. There is a huge expectation from Asus brand on these gadgets. The mid-range smartphones has come up with potential features, as per their key specifications officially announced just. Let us see how these two gadgets are going to be in real and live upon review, soon. 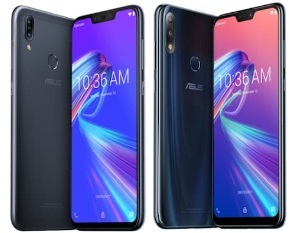 If you are looking for Asus Zenfone Max M2 and Zenfone Max Pro M2 smartphones' key features, technical specifications, prices, review, first impression, unboxing, comparison and hands-on etc. then you could find some of them soon over here. Both the phones have tremendous features when compare its competitors' devices even price and features along with overall performances. The phone has 13 AI Scene detection features, mega battery, non-stop gameplay, NXP amplifier and on. Some more detail will be updated on this post, soon. Tips: They are going to be one of the best smartphones in 2018, so, suggest you to grab one of them.